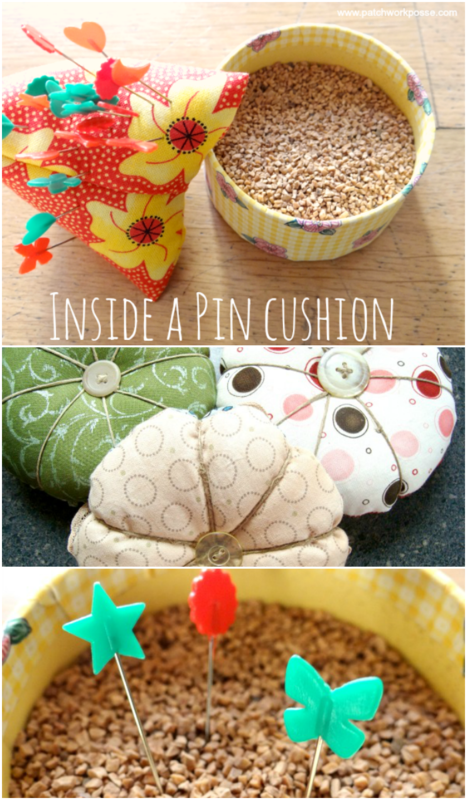 I am a lover of the pin cushion and don’t think that you really could have too many. After you pick out the pattern thought the next big decision is what’s going inside the pin cushion! There are a few products that I use all the time. Polyfil is usually the one that hits the top of the list and is easy to find, use and works great for all pin cushions. What are other people using as filling for pin cushions? After digging around and asking a few of my sewing friends…. 3. sand, fine not coarse– this stuff is awesome! 16. fine sawdust,— but not from pressure treated or exterior wood! I have found with a few of these that they might need their own little container before putting them into the pincushion. Especially with the small grains– like the sand and sawdust or shavings. They tend to sneak out of seams easily and will not make you happy. Another thing is keeping them dry. You don’t want any of them to get wet or they will cause problems with your pins and needles. 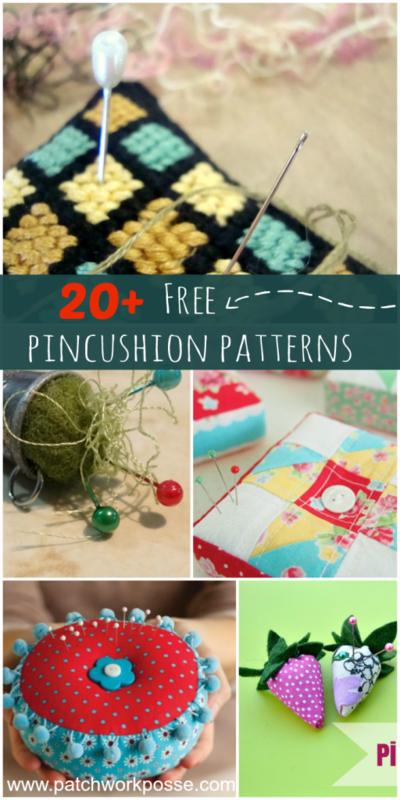 Just in case you are pincushion crazy like me…. here are a few you might want to give a try and make! 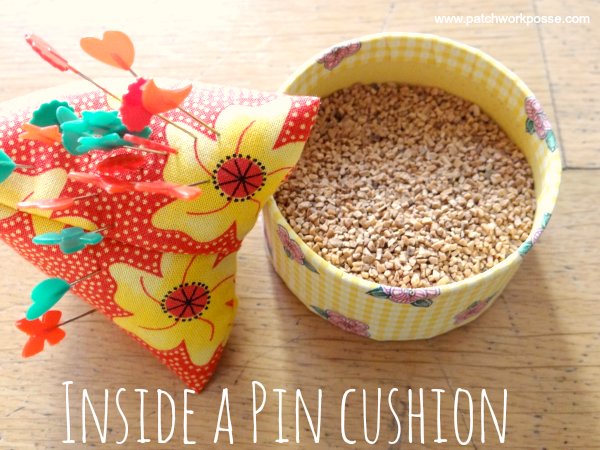 What do you prefer to use in your pincushions? I used rice in small chicken pin cushions for the weight and worked well with pins. Thank you for all the other ideas. Have never made a pin cushion but have heard that steel wool sharpens needles. For pincushion innards, I use ground walnut shells or rice to weight the bottom so that the pincushion doesn’t fall over, then pack with super-fine grade steel wool (0-3), and add a layer of batting on top of the steel wool. This general formula works for every size and shape pincushion I’ve ever made. liz- great suggestions to mix them up for different purposes. the weight is a great thing to keep it from scooting all over! I swear by felt. Plain acrylic felt works just fine. Holds the pins like a magnet so they don’t fall out. 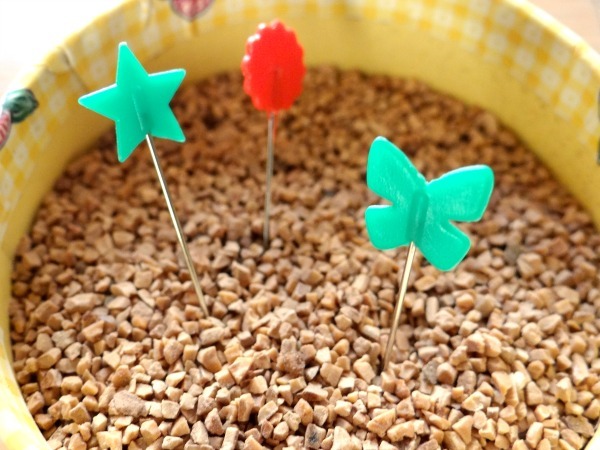 what a great addition cherie– I hadn’t thought about that and how it works with the pins. This is my first time visiting your site. Unfortunately I found it very difficult to read because if the intrusive sidebar ads. Is there a way you could adjust st this?